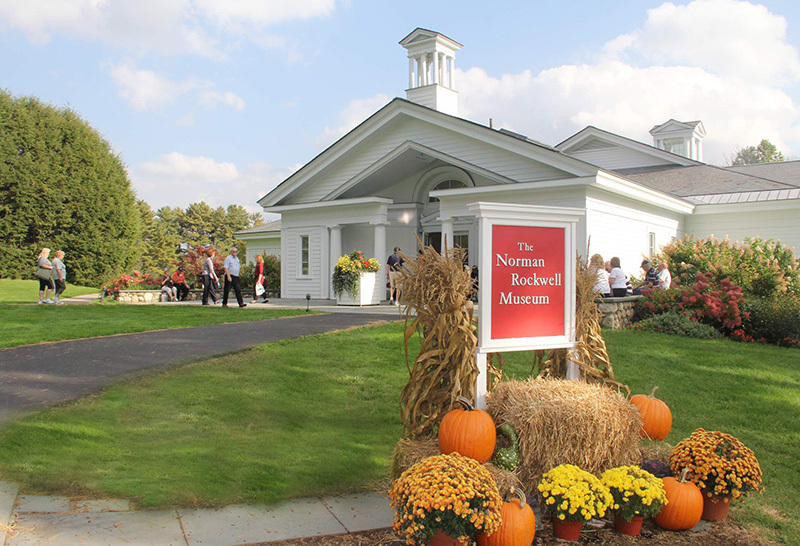 Stockbridge, MA, September 18, 2017—Norman Rockwell Museum welcomed new members to its Board of Trustees and National Council during the Museum’s annual meeting held on September 15, 2017. Douglas Clark, Audrey Friedner, Ramelle Pulitzer, and Ron Walter were elected as new trustees, starting this fall. In addition to Horvath, the Museum’s Board of Trustees Officers include President Alice Carter, First Vice President Jamie Williamson, Treasurer John V. Frank, and Clerk Peter Williams. David Glodt, Johnny Haney, Deborah Hoover, John Hyson, Carol Konner, Edward Lamont, Magdalen Livesey, Marion Simon, and Jamie Williamson were also re-elected to three-year terms. Douglas Clark of Saratoga, California is managing partner of Wilson Sonsini Goodrich & Rosati (WSGR). Since joining the firm in May 1993 as a litigator, he has focused primarily on securities litigation, representing defendants in more than 70 class and derivative actions. His clients span a wide range of industries, including software and Internet, financial services, hardware and semiconductors, energy and clean technology, retail, media and entertainment, and life sciences. In addition to serving as managing partner of WSGR, Clark has also chaired the firm’s Compensation Committee and served as a member of many other key committees, including the Policy Committee. He previously joined Norman Rockwell Museum’s National Council in 2016 with his wife Ruth Ann McNees. Audrey Friedner of Stockbridge, Massachusetts taught at the Great Neck Public School System of Long Island until her retirement in 1999. She and her husband Ralph both previously served on the Museum’s National Council. In addition to the Museum and an interest in art, she is involved with various organizations near her home in Florida and in the Berkshires, including Hevreh of Southern Berkshire. Audrey earned her B.S and M.S. degrees at New York University and her Ed.D. at Hofstra University. Ramelle Pulitzer has served as Executive Director for an artists’ organization, taught art appreciation at Winston-Salem State University and was the owner of an art gallery featuring artists of North Carolina. She is the founder of New View Tours, a company that designs custom tours for the interests of clients to favorite destinations in the United States, Europe and South America. Pulitzer earned her B.A. in History and Art from Pitzer College, and a MEd from the University of North Carolina at Greensboro. She and her husband Michael, a National Council Member, reside in Stockbridge, Massachusetts, where she also serves as a docent at Norman Rockwell Museum. Ron Walter began his career as an Assistant Professor at MIT and later served the City of New York in several capacities, including Assistant Budget Director, Assistant to the Mayor, and Deputy Chancellor. In 1978 Ron went to work for Citigroup where he spent the remainder of his career until retiring as Managing Director in 2007. Walter is an active volunteer and serves as Board Vice Chair at Hancock Shaker Village and Treasurer at The Abraham Funds Initiatives. He and his wife Marilyn both previously served on Norman Rockwell Museum’s National Council. He earned his B.S. and M.S. degrees at Massachusetts Institute of Technology and his M.S. in H.S.A. at Harvard Chan School of Public Health. He lives in New York City and Great Barrington, Massachusetts.